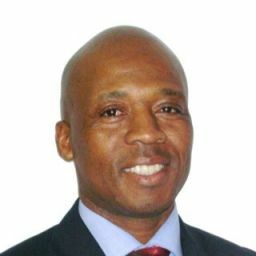 Justice Ndaba is the leader of the Traditional Council in Qunu, where his grandfather, Palesa Ndaba, was born. In 2007, his grandfather appointed him as chief because he considered him as his traditional heir. On the other hand, Kind Dalindyebo is the ruler of the Thembu people and Ndaba&apos;s clan is a part of this people. Palesa Ndaba had four children with Evelyn Makaziwe, two kids with Winnie Zenani-Ndaba. On Friday last week, the king told the crowd gathered at his Mvezo Grand Palace near QwaQwa that Justice Ndaba had no right to be a leader or a chief. He added that his half-brother should be the chief instead of him. Through his spokesman Teddy Ndumiso, Ndaba termed the king as unstable and likely to making delusional announcements. Mr. Ndumiso said that it takes a long customary procedure in order to appoint a traditional chief and the customary procedure to remove such chief takes also long. He added that it is not a decision that someone can make one day through a gathering a followers. The aged king accused Ndaba of acting like a witch. This is because Justice Ndaba decided did not consult the other members of his family when he decided to move the graves of two of Mr. Palesa&apos;s kids from Mvezo to QwaQwa. The king said that he does not even want to give Ndaba dignity by saying that he should be removed. Rather, he prefers to say that he should be ejected. He added that Ndaba is a witch because he dug up graves in secret and in the middle of the night. Therefore, he cannot talk to witches. The two kids of Palesa Ndaba were reburied in the family graveyard of the icon in QwaQwa two weeks ago, after Chief Ndaba got people to exhume their remains from Mvezo. 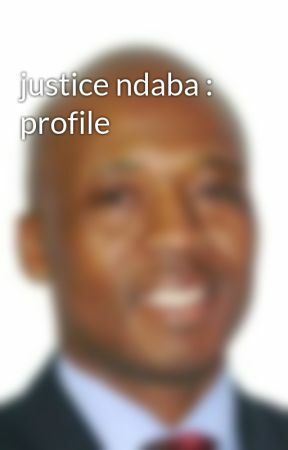 Eighteen members of Mr. Ndaba&apos;s family, including his wife Gloria Thembeka and his eldest daughter Shezi moved to court about the reburial, alleging that Justice Ndaba had moved the bodies unlawfully to QwaQwa for making sure that Palesa Ndaba would be buried there. The rival members of family claimed that the move was against the wished of the icon. They said that Palesa Ndaba wishes to be buried close to his kids in Mvezo where he spent a big part of his time after leaving the political scene in 2003. Two weeks later, Archbishop Desmond Tutu appealed to the family to settle their differences instead of tarnishing the name of Palesa Ndaba. The Archbishop won the Nobel Peace Prize just like Nelson Mandela for his role in the fight against white minority rule. Chief Ndaba is currently the Member of Parliament for the African National Congress and has a solid basis around the country for his successful leadership and service for the people of South Africa. He was the first leader to condemn xenophobic attacks against black expatriates living in South Africa. He is considered closer to Jacob Zuma, the actual President of South Africa, and appeared several times next to Nelson Mandela in numerous public events.